Clear communication between your friends and allies is the best way to victory because we all know – cooperation and teamwork is often the key to success. Having the ability to verbally chat with them is a real luxury that should never be overlooked. Whether you’re playing PC games, Playstation 3/4, Xbox 360, Wii U, or on a Mac, the Thrustmaster Y-300CPX Gaming Headset is a worthwhile investment. We had the opportunity to get our hands on this universal headset and gain a better perspective on what exactly it has to offer. Since the 1990’s, Thrustmaster has been making a name for themselves as one of the top rated USA-based gaming accessory companies in existence. They always seem to be pushing the curve and exploring what’s possible in making video games as fun, enjoyable, and worthwhile. Designed for full compatibility between various platforms, the Y-300CPX Gaming Headset is fully optimized to work just as well between every console or system you connect it to. This includes Playstation 3 and 4, Xbox One and 360, Mac, PC, and even Nintendo’s Wii, Wii U, and 3DS. Plus, it works with Playstation Vita and virtually any smartphone or tablet. 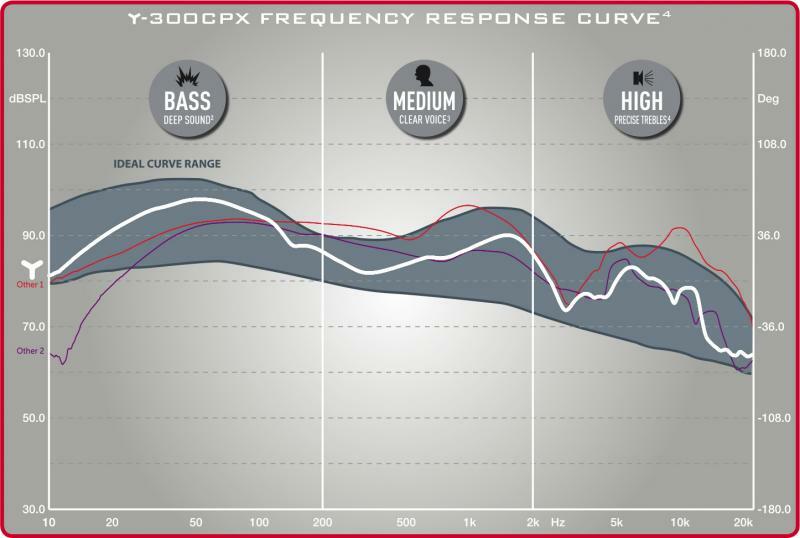 Utilizing true 50 millimeter drivers, the audio quality is downright fantastic. They deliver beautifully-clear and vibrant audio while remaining as realistic and true to life as possible. Specifically designed to bring realism to all audible tones, it’s an excellent addition to anyone who requires precise sound so that can instantaneously react without any hesitation. Equipped with a double electro-acoustic bass sound amplifier, you’re assured heavy and deep sounding bass. This pairs well with literally any kind of game, genre of music, or movie that you’re watching. 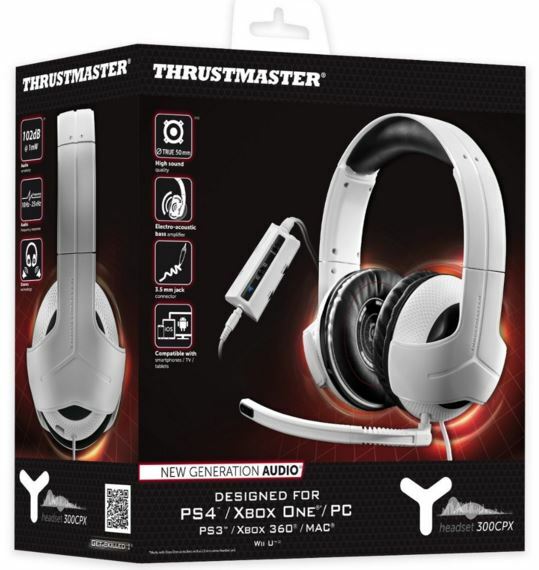 Thrustmaster even brags that this headset truly delivers the most ideal sound quality since it’s powered by Hercules – one of their strongest and oldest brands that specializes specifically in PC hardware. Making sure that your friends and allies can hear you clearly is a key component in excellent communication. The detachable microphone is unidirectional in order to specifically capture your voice, rather than mixing with grey noise that you don’t want to get in the way. Since it’s designed to capture only your voice, anything that’s going on in the background won’t be heard by whoever is on the other end of your conversation. We’re glad to know that the microphone can be easily removed and optionally used. 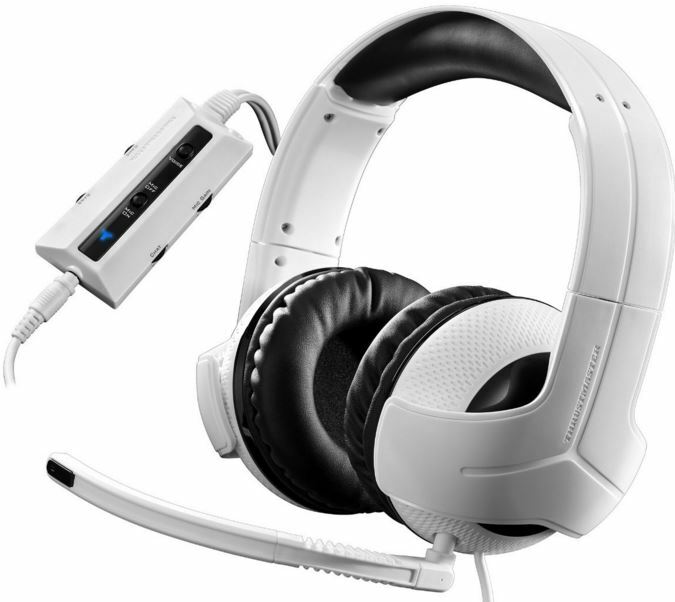 This way, you can use the headset as a pair of headphones, rather than a communication device that’s solely for online gaming. 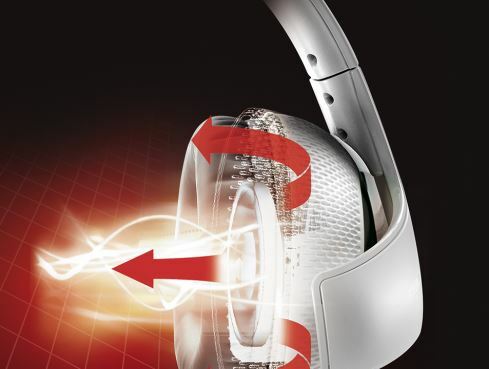 By taking a single look at the Thrustmaster Y-300CPX Gaming Headset, you’ll notice that it boasts a unique Y-shaped design. This is the key to the headsets universal comfort. It applies pressure in the appropriate spots to keep it on and steady at all times and assures that there aren’t any specific pressure points that could potentially cause discomfort over time. Each ear cup is generously padded with super-soft material that seems to naturally repel moisture but remain breathable at the same time. The over-sized padding doesn’t just bode well with only comfort, it also provides an excellent seal to give passive isolation to your listening. Best of all, the unique earpieces allow for there to be a properly shaped empty-void where bass can emit more-freely. It emphasizes the bass and gives a pleasant fit at the same time. Having the ability to freely control the sound and having it within reach at all times is a definite bonus. The Thrustmaster Y-300CPX is built with an inline controller that allows you to adjust advanced controls within seconds, at anytime. 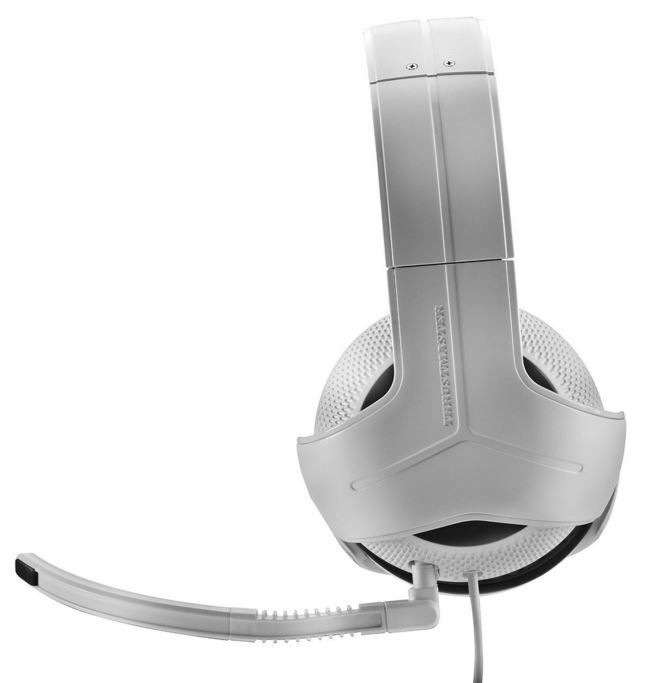 Most headsets don’t have one that offers as many advanced options for adjusting the sound as this included controller does. You’re given the ability to freely control both the mic and chat volume separately, so that you can keep the levels within a proper difference in order to hear your best. Additionally, you can customize the microphone’s gain level, and adjust it to meet your voice as clearly as possible. Also, the voice feedback system gives you the option to cut out or enable it as you please. Although this gaming headset doesn’t operate with a wireless connection, it’s equipped with one of the most lengthy cables that we’ve seen. Measuring 4 meters or roughly 13 feet, it gives you the option to use it from a good distance without being restricted to a close proximity to your console or system. Yes, wireless headsets are quickly becoming the next big thing, but wireless doesn’t mean that it solves all of the issues. You’ll need to worry about recharging it, and they’re usually priced considerably more. The Thrustmaster Y-300CPX Gaming Headset provides an exceptional amount of value since it comes in at a price tag of $50. Set to officially release tomorrow, March 7th, we’re confident that it’ll become another favorite in the extensive lineup of Thrustmaster products. With full compatibility between virtually any console, computer, or device, it’s ready to provide a phenomenal gaming experience. With true 50 millimeter drivers, and a deep, vivid bass, you’re assured fantastic audio quality while remaining true to life at all times. 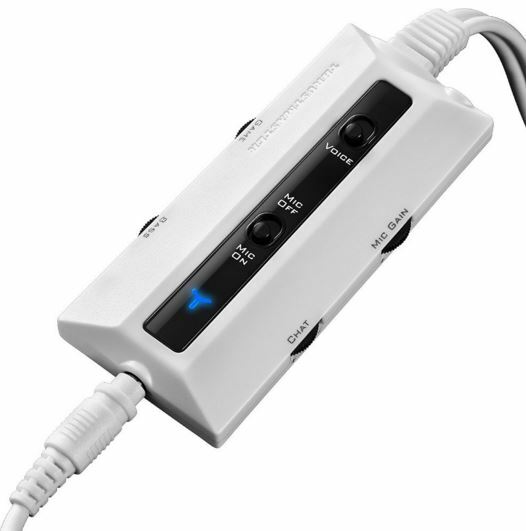 We really love the inline controller as it’s one of the most advanced controllers that we’ve seen as of late. It opens up a lot of flexibility for users to adjust the sound to their exact specifications and cater toward a custom-like experience. 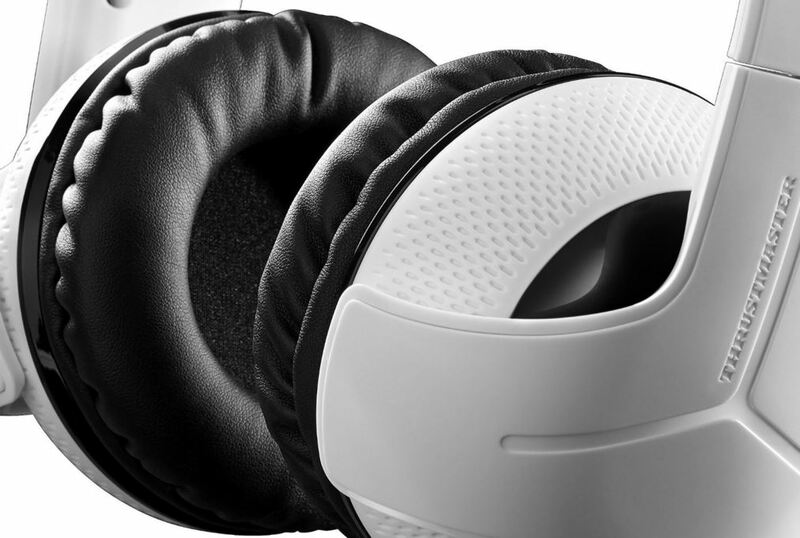 To top it off, the Y-300CPX provides the comfort needed for lengthy gaming sessions with it’s over-sized padded ear cups and unique y-shape design. Overall, we’re very impressed with it and can’t find anything remotely bad to say about it. For those looking specifically for a high-end wired gaming headset, it’s a worthwhile investment in our opinion. Five stars for sure!